This topic could fill up a few posts and address a number of issues. Living alone is one thing; being alone is another. Learning how to make decisions after having had a partner to process things with, and talk over the pros and cons, is a big deal. For this writer, decision making became a major hurdle, one I did not struggle with before this season. I found that I could seldom make a decision and stick with it. Things that would have been simple to deal with suddenly became insurmountable. I would second guess myself at every turn, crippling my confidence and destroying my self-assurance. I find this to be a strange phenomenon because during the weeks my husband was ill I could handle anything and everything. I was decisive, prayerful and self-assured and knew what to do in every emergency situation that arose; and there were a number of them over the eleven weeks prior to Dave’s death. One of the reasons decision making became so difficult may have something to do with the plan Dave and I had begun to lay out for our future; for our retirement. 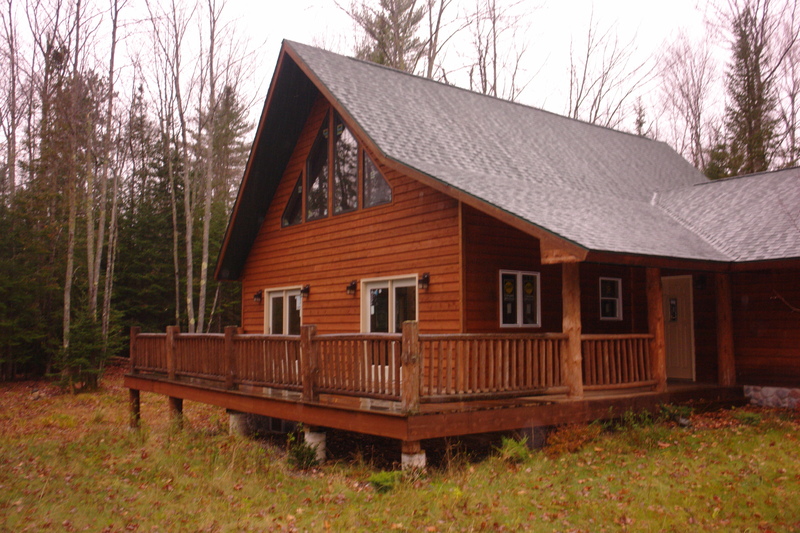 We were so sure that God was with us when we discovered the home in the north woods of Wisconsin. This was Dave’s dream to retire in a cabin tucked away in a wooded area, close to hunting and fishing and nature in general. It seemed to be God’s design when we found the perfect place and all the financing fell in line; even in the midst of the economic downturn our country was facing. There is more to this story, as God used those three months to grow Dave and me closer together. He used this time to teach us ask the hard questions, to have the difficult discussions, and to draw us even closer to Him. Then, God used the place in the north woods as a refuge for me for one year. I moved from the home I knew for 33 years, to a new place; a place He hand-picked for me as part of the plan to heal my heart and reveal His goodness. I am reading a non-fiction by Debbie Macomber titled, One Perfect Word. I always suspected she was Christian because of the family oriented nature of her fiction work. When I started reading this book I learned of her solid and growing faith. As a writer, especially as a Christian writer, this book had my attention. Debbie Macomber talks about her walk with Jesus during a difficult season in her life. 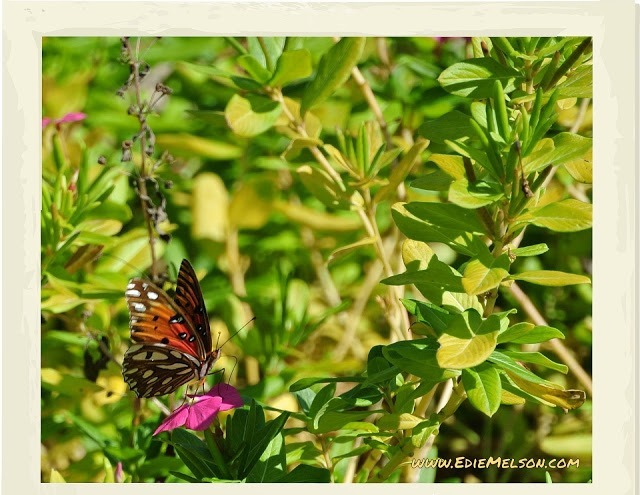 She shares a story about choosing a word to serve as a personal focus for a year. I took notice of this because I had been doing that for a number of years myself. I haven’t developed this practice to the extent she has, but my ‘word’ for the year usually reflected where my heart was. For instance, one year perseverance was my word. God used this word to grow me closer to him, to teach me the importance of being diligent and determined. 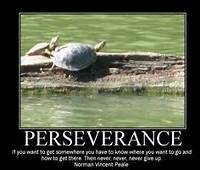 When life gets tough, we pray continually and slog through each day with perseverance. James 1:2-4 became familiar words to me. Life has changed in many ways over the past 30 months, but my desire for God and my passion to write have only intensified. A couple years before my husband died, he encouraged me to follow my dream to write. I began taking a few courses and attended a Proverbs 31 She Speaks Conference for writers and speakers. God knew I would need somewhere to put my focus, something to turn to as an outlet if not a diversion. I believe He gave Dave the words that ignited my dream once again. I decided to have a word a month, because at my age it is wise to cram in as much as possible. A word a year just won’t cut it anymore. This month my word is wait. I tend to get ahead of God, rushing forward when I should sit still and listen. 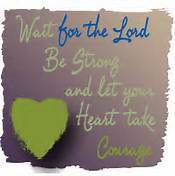 I believe my impatient way has caused me to miss a blessing or two. I am pondering this word, using it as a study guide some days and as a rule of thumb other days. This journey through the vast wilderness of widowhood keeps me on my toes as well as on my knees. If I did not have God to turn to, to believe in, life would be pointless – as would death. I never gave the title of widow much thought before and for the first year following Dave’s death I resisted the title. When I would be asked if I was single I wouldn’t hesitate to say no. It never actually dawned on me that I was eligible to don both of these labels; but it didn’t change who I was, only the adjectives used to describe me. I remember the cold harsh days before Dave’s death. I referred to them often as my season of winter but held on to the reality that spring always follows. This was my season to draw closer to God than ever before. It is still a season where I must look to Him for advice and direction. By turning to Him every morning for a special word just for me and specifically for today, I can begin the journey with confidence and hope. My prayer time a number of months ago netted me an idea for just what this time in my life would look like. I had a mental image of a woman looking in a mirror at her reflection, only the face staring back at her had her hair parted on the other side. Immediately, this thought burned on my brain. Yes, it is time to part my hair on the other side. It is time to look at living differently and it is time to walk alone for a season. The reality is, change will abound, but it will be strategically placed. God will not give more than we can handle each day. This is a significant concept to embrace. One day at a time is how to move forward. One foot in front of the other, one step at a time and we will arrive. As we travel this new road, there will be some things we will learn to do again, laughter will be one of them. It is not as though my husband made every decision for me in the past, but I am realizing how valuable it was to have someone to talk things over with, even the little things. Now, I talk things over with Asa, my faithful and constant Golden companion. He doesn’t say much, but will listen intently for hours as long as there are rawhide treats waiting. This morning during my daily quiet time, I was once again looking for direction or at the very least, affirmation that I was on the right path. The scripture from my devotional book, Streams in the Desert, was from Numbers 9:19. When the cloud remained over the tabernacle a long time, the Israelites obeyed the LORD’s order and did not set out. These words spoken to my heart provided some clarity for me. Right now that “cloud” is over me – and God is in it. I will be satisfied and content where I am. When my life is to change, God will show me. Until then I will remain under the cloud. I will rest in that safety. I feel I am to mark November in my mind; perhaps it is a turning point. It has been almost three years since my husband died. These three years have been filled with many new feelings and thoughts. So much change to face, so much newness. At a time when life should be getting easier, when the struggles and challenges should be diminishing, death makes an appearance. It is not as if it was unexpected, we all know that life comes to an end when we get older; it is the natural order. The truth is, sixty-two is not old, but I did not expect to wear the title of widow so soon, if ever. The first year following an event of this sort is filled with facing what is coming to be called, a new normal. I find that the one thing I longed for during my 40+ years of marriage was to experience some time alone. I enjoyed it when my husband would go on a trip for a week or so – I loved the opportunity to do whatever I liked whenever I wanted. If I wanted to eat once a day or half a dozen times, I would do it. I had no one to think about but myself; no one to plan for or consider but me. But now, I have all this freedom and would give it up to go back to where I was 3 years ago…or would I? Knowing what I know now, would I, should I even dream to go back? I know that my husband has moved to a new place where he spends time in the presence of God. He wouldn’t want to come back here. So why would I want to waste my days dreaming or longing for that to happen. It is time to move on. It is time to make a new life. It is okay to do both of these things, it will just be different. Life is all about change. If we did not change we would not grow, learn, nor live to the fullest. A new attitude is what I need. I need a fresh outlook and a few laughs along the way. A strong clasp on the seatbelt of life will help also, as it is going to be a bumpy ride. I anticipate the ride will take me to the scariest of heights and then rapidly nose dive to the depths of despair. There are many changes waiting, mostly good ones, but scary all the same. I look forward to sharing with you, some of my journey, and I would love to hear about yours. Psalm 90:1-2 (NIV) Lord, you have been our dwelling place throughout all generations. Before the mountains were born or you brought forth the earth and the world, from everlasting to everlasting you are God.